Newly introduced digital mixer takes the top spot in awards judged by a panel of engineers and industry experts in Las Vegas. At the 2018 InfoComm Show, Allen & Heath‘s newly introduced SQ-7 digital mixer won a Best of Show award from Future’s Pro Audio Group. The Best of Show Awards are judged by a panel of engineers and industry experts from submitted nominations. The award criteria included ease of use, overall performance, value, network and system friendliness, versatility and reliability. 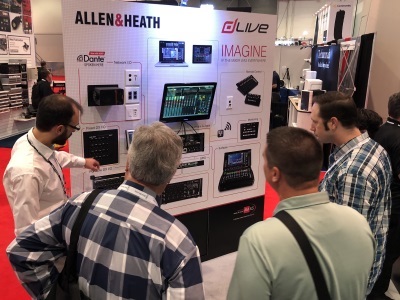 Along with the SQ-7 debut, Allen & Heath introduced interactive video displays for its ME personal monitoring system, a focused installed-sound #WallOfInstall, and ‘real world’ application touch panels and controllers from Allen & Heath and 3rd-parties such as AMX, Attero Tech, Extron and RDK. 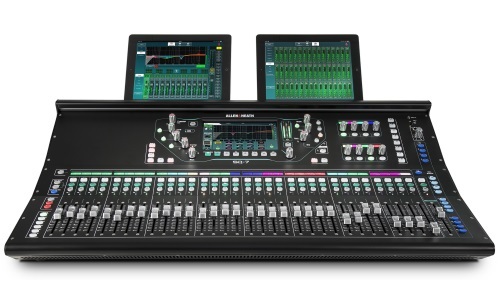 The company also highlighted its dLive digital mixing system version V1.7 firmware with Shure integration. In the Allen & Heath training session, “Designing Efficient, Cost-Effective Distributed Audio and Integrated Hardware Control,” installation product manager Martijn Verkerk presented a wide range of topics from audio networking basics to more advanced system design strategies.